Dave Grohl has a knack for getting around. Just last night (August 24) in Toronto, the rock legend made his way on stage with the members of Prophets of Rage to "Kick Out the Jams." Now, it's been revealed that the musician also joined a recent Korn recording session, though for reasons as-yet-unknown. A pic of the meet-and-greet arrived through Korn drummer Ray Luzier's Instagram account, which pictures the Foo Fighters frontman in a conversation with producer Nick Raskulinecz. The pic is captioned as "that one time when Grohl stopped by our studio for #serenityofsuffering sessions." 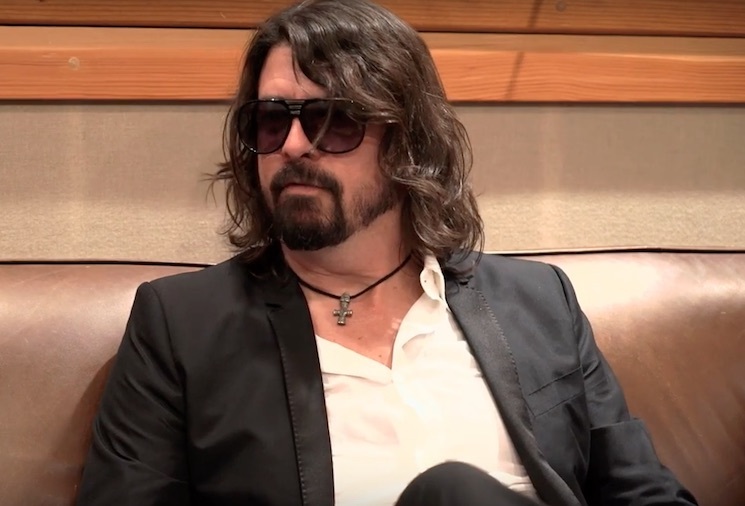 It's not yet unclear if this picture reflects a simple studio visit, or if it means that Grohl had a hand in Korn's forthcoming The Serenity of Suffering. As previously reported, the record is confirmed to feature an appearance from Slipknot/Stone Sour singer Corey Taylor. While we speculate on what a Korn/Grohl crossover would sound like, you can check out the nü-metal unit's recent video for "Insane" down below. The Serenity of Suffering is due out October 12 via Roadrunner and will be supported with a tour.